In the closing years of the 19th century Don Melchor de Concha y Toro discovered that his most treasured wines had been pilfered from the "casillero" (cellar) beneath his family home. To discourage further theft, the enterprising Don spread a rumor that his deepest, darkest cellars were haunted by the devil. Today, the original Concha y Toro family estate, complete with its Devil's Cellar, is Chile's leading tourist destination! The wines may have been stored in hell, but they are made in heaven. With its steady sunshine, cooling winds and pestilence-free vineyards, Chile is a winemaker's dream. Add to this a winemaking tradition based on French grape varieties and winemaking techniques, and you have a winning combination. High quality wines can be made inexpensively, which Concha y Toro successfully demonstrated with the release of its Casillero el Diablo wines in 1963. Making wines in volume and creating wines with personality might seem contradictory. 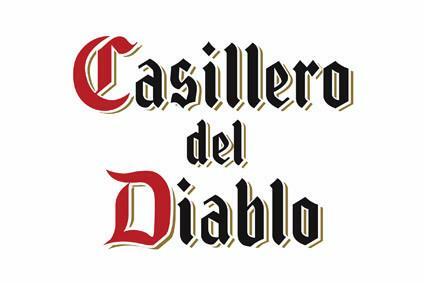 But winemaker Marcelo Papa, who has overseen Casillero del Diablo since 1998, has managed this feat. In 2005, Marcelo Papa was named "Winemaker of the Year" by the Chilean Wine Guide for his ability to "create exceptional wines that are widely available in the marketplace, yet achieve extraordinary levels of quality in spite of high production levels." Thanks to Marcelo Papa's extraordinary winemaking talent, and the support and leadership of the Concha y Toro company, today Casillero del Diablo is a worldwide standard-bearer for premium quality Chilean wines – and the Legend of the Devil's Cellar lives on! Created from an exclusive selection of our finest red varieties, this wine possesses a soft and velvety texture, flavors of ripe fruit, plum and black cherry with a touch of dark chocolate on the palate, all followed by a charmingly well-balanced finish. A rich blend with notes of black cherry, and blackcurrant, with hints of chocolate and cedar.Soft and round with juicy tannins, leading to a long, lingering finish.